The White Barn at Happy Valley is the perfect Boise or Nampa wedding venue for anyone looking for a rustic yet elegant location. The unique craftsmanship here with the 100 year old antique exposed beams is exceptional. There is a huge 3000 Sq. Ft. loft perfect for your wedding ceremony and a fantastic double staircase for your stunning grand entrance. Boise wedding photographer Todd Nichols enjoys shooting here because of the chic surroundings and attention to detail at this venue such as the handcrafted chandeliers and victorian furnishings. 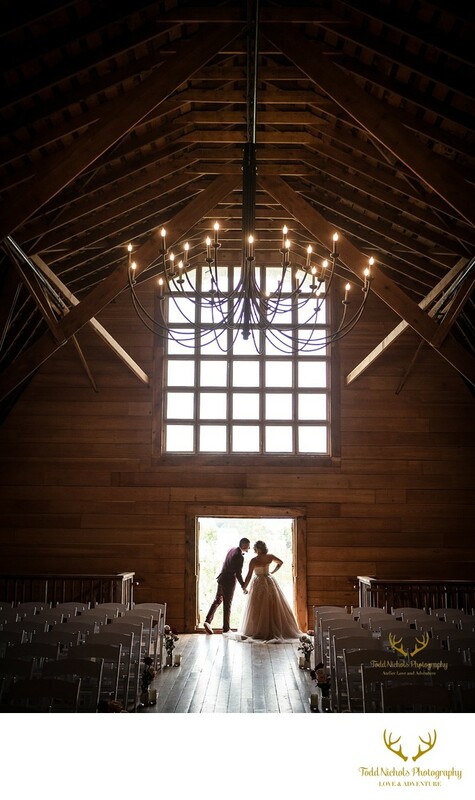 One of our favorite features of the barn is the second story hayloft doors seen in this picture. Location: 411 S. Happy Valley Road, Nampa, ID 83687. 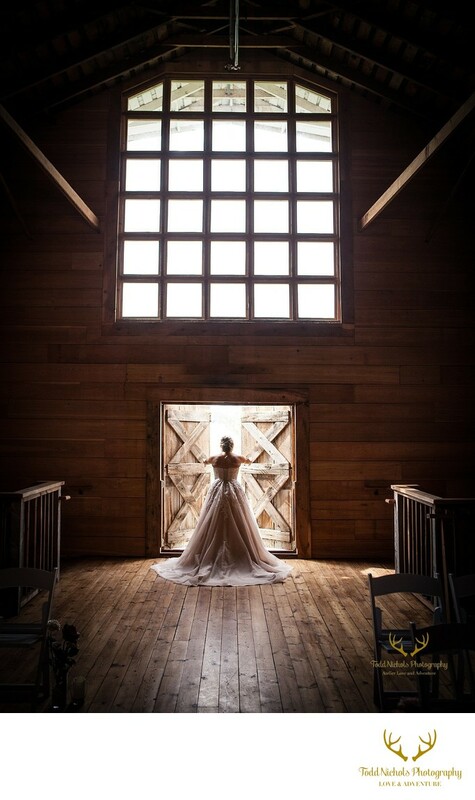 Keywords: Barn Wedding (3), Boise wedding photographer (3), Boise wedding venue (3), White Barn Happy Valley Wedding (3). 1/400; f/2.8; ISO 500; 32.0 mm.